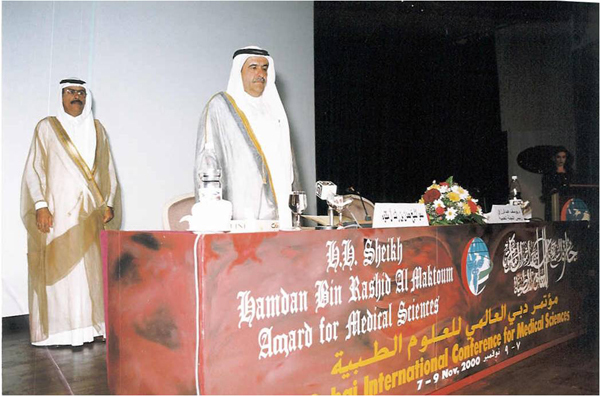 The topics of the 1st term, 1999-2000 were selected to be for Grand Hamdan International Award - Cardiovascular Medicine and Surgery, and for Hamdan Award for Medical Research Excellence - Recombinant Vaccines in Infectious Diseases, Genetics in Diabetes, Therapy in Leukemia. Dr. Denton Cooley is truly an outstanding pioneer of cardiovascular medicine and surgery. Dr. Cooley graduated from the Johns Hopkins University School of Medicine in Baltimore, U.S.A. in 1944. He trained in Surgery and Thoracic Surgery at both Johns Hopkins University School of Medicine and the Brompton Hospital for Chest Diseases in London, England. Professor Andrew McMichael is a world leader in Human Immunology. He is Professor of Immunology at the Oxford University and is the Director of the MRC's Human Immunology Unit at the Institute of Molecular Medicine, John Radcliffe Hospital, Oxford. He is a Fellow of the Royal Society. Dr.C Ronald Kahn is widely recognized as one of the top physician/scientists working in the field of diabetes. He is Professor of Medicine at Harvard Medical School and Director of the prestigious Joslin Diabetes Center in Boston, MA, USA. In 1999 he was elected to the USA National Academy of Sciences. Dr. Anne Dejean is Directeur de Recherche de l'INSERM at the prestigious Pasteur Institute in Paris, France. She obtained her doctoral degree at the University of Paris and is affiliated with Pasteur Institute from 1980. She is corresponding member of French Academy of Science and winner of several research awards for her research achievements. Dr. Pier Paolo P. de Rinaldis is a member of the Human Genetics Department of the world-renowned Memorial Sloan-Kettering Cancer Center in New York. Dr Pandolfi de Rinaldis received his Medical School education in Roma and Perugia, and he started research work at a very early stage in the laboratory of Dr Pier Giuseppe Pelicci. In that laboratory he played a key role in the work that led to the cloning of the t(15.17) breakpoint characteristically associated with acute promyelocytic leukemia (APL, or AML-M3). Mr.Abdul Sattar Edhi was born in Bantwa, in India on 28 February 1928 and joined his father's clothing business after 1947 when Indio was partitioned, and the family moved to Karachi. He left the family business and with a few friends, opened a one - room community dispensary in the old Karachi's Mithada area. In 1954 he acquired his first ambulance, a Hillman car. He would go around the city looking for people needing transportation to hospitals. The Red Crescent Society is the only national institution that is recognised by the state. Like the Red Cross and the Red Crescent associations that are spread across the world, the Red Crescent Society is charged with regulating and handling all charitable and humanitarian work across the country. Dr Jumaa was born In Dubai in the year 1942. He spent his early childhood in Dubai where he received his primary education at the AI Ahmadia School. This period coincided with the July Arab revolution, which kindled dormant nationalistic and independence feelings. These events had a major impact on Dr Jumaa and affected his choice of a future career. 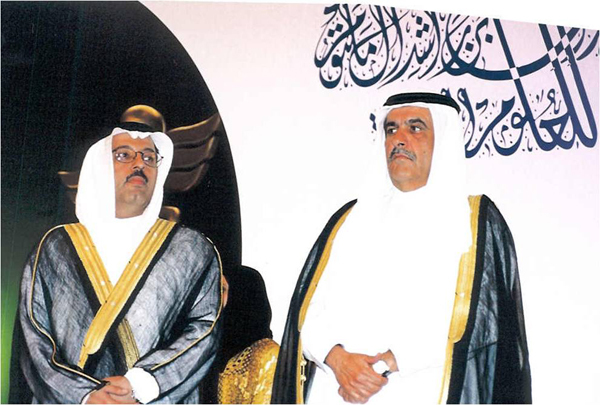 He moved to Qatar to attend pre-secondary school, and then to Kuwait where he completed his secondary school. He crowned his educational achievements in 1969 when he graduated from the Medical College of Cairo University, and it was here where he developed his educational and nationalistic make-up. The Union Ministry of Health was set up in 1974 according to the constitution of the UAE and its main aim was to promote Health Care and Medical Services to the people of the UAE. One year after it was established in 1975, Dr. Abdul Rahim Jaffar was appointed and since then he has given his best years to the services of the country for over a quarter of a century. His contribution to the development of the Ministry has been immense. The Poet - littérateur was born in the emirate of Sharjah in the year 1925 to a family of famous pearl traders and was well known for his love of poetry and literature. His business deals provided him with opportunities to travel and reside in many countries of the world - he visited all countries of the Arabian Gulf and lived in them as he did for various periods in India, Egypt, Syria and Lebanon. He not only became a rich man but also benefited from his travels in acquiring knowledge, education and wisdom. 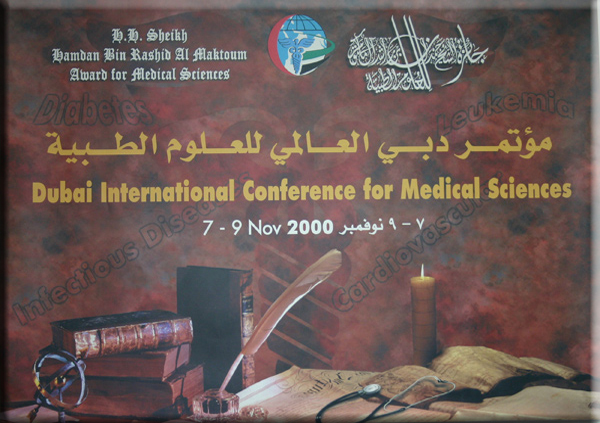 Born in 1935, Dr. Hussain Mohamed Habib Al Redha received his primary education in Karachi, Pakistan; and his secondary education in Beirut. Born in 1934, Dr. Muscat - Baron is a British national who holds a degree in pharmacy. He studied in Saint Luke University, Malta. In 1960 he migrated to the UK where he studied and then worked in the health services for a total of 17 years. The recent demise of Dr. Amina Ali Kazim plunged Rashid Hospital into an atmosphere of gloom such was the esteem and love held by all Rashid Hospital staff for this gem of a woman. Dr. Amina, Mannoo to close friends and relatives, was a popular anesthetist endeared by friends, colleagues and patients alike.